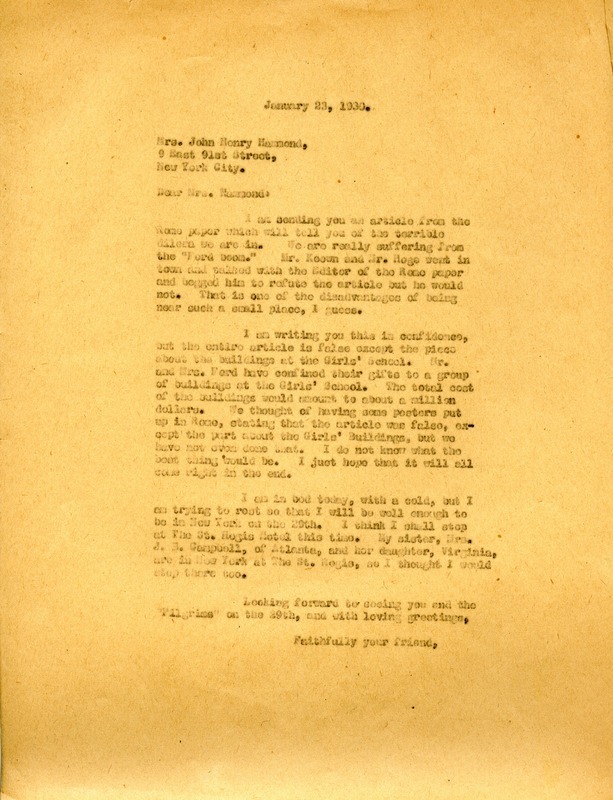 Letter to Mrs. John Henry Hammond from Martha Berry about a false article about the Ford donations in the Rome paper. Martha Berry, “Letter to Emily Vanderbilt Hammond from Martha Berry.” Martha Berry Digital Archive. Eds. Schlitz, Stephanie A., Sherre Harrington, Chelsea Risley, Haley Fortune , Kasey Haessler, et al. Mount Berry: Berry College, 2013. accessed April 24, 2019, https://mbda.berry.edu/items/show/12826.